Hand selected, freshly roasted specialty grade coffee. Whether you call it third wave or hipster coffee, you’ll call it damn good! Each coffee has its story that starts with hard work on the farm. We believe that coffee producers deserve not only fair pay but also recognition for their labour. We label each coffee’s origin precisely so you’ll always know who’s behind your coffee. Your coffee will always be fresh when it arrives because we roast in small batches, in most cases only after you place your order. We take freshness very seriously and we do not grind our coffee. You will enjoy it most when you grind the beans just before you brew. SOUNDS GREAT. LET'S GET SOME COFFEE! Remember, while this recipe won the WAC in 2015, Aeropress is about experimentation and having fun. So go and have fun! NEED SOME COFFEE FOR YOUR AEROPRESS? NOT A PROBLEM! 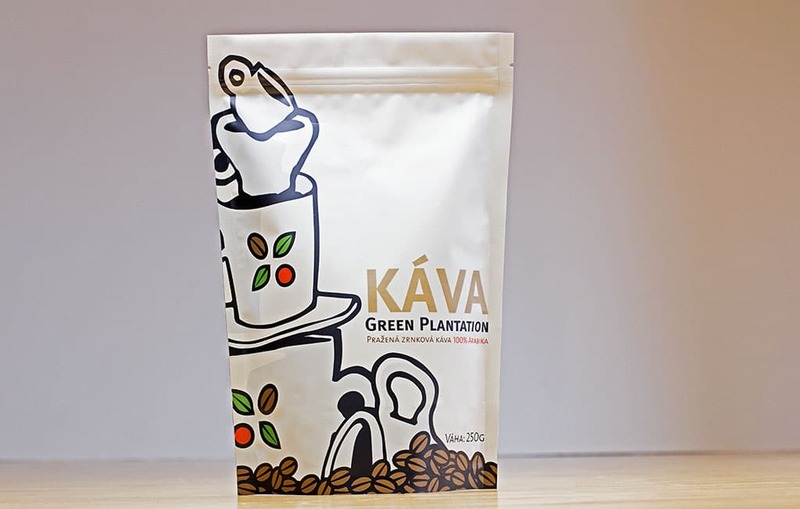 HOW IS YOUR COFFEE GOING TO BE DIFFERENT WITH GREEN PLANTATION? We will NOT deliver old coffee then hide behind excuses that the coffee needs to “air out”. We will roast your coffee after receiving your order and deliver it fresh. If you you think it needs to “breathe”, you can still do it yourself. Coffee must pass the Specialty Coffee Association’s strict quality evaluation in order to qualify as specialty grade. We will spoil you with unique specialty grade lots. We believe that a transparent, up-front approach is the best way to build long lasting relationships. We love to share our knowledge and we love to learn from you! This is the power of the new coffee generation. Let’s embark together on a journey for the best cup of coffee. SO WHAT DO YOU SAY? ARE YOU READY FOR SOME COFFEE? Peter is the engine of Green Plantation. He started as an unrecognized barista, but his passion and determination brought him to Green Plantation. Today he works harder than ever as the CEO, head roaster, barista and sometimes the cleaner. He is the face of the company in Slovakia. Peter speaks Slovak, Hungarian and a little English. Valerian is the founder of Green Plantation Coffee and he lives close to San Francisco, California. He is the co-founder of coffeecourses.com where they train Green Plantation’s international competition – roasters, cuppers, coffee professionals. He is the author of numerous articles about coffee in leading food and beverage industry magazines in Slovakia, and the host of the coffee industry podcast Coffeeis.ME. Valerian speaks Slovak, Hungarian, English, some Serbo-Bosnian-Croatian, and a “guten tag” level of German.